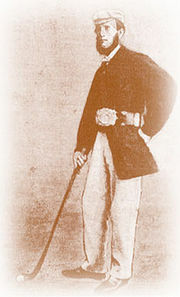 Tourism Matters | News | Opinion | Discussion | Advice | Innovation | Development: 150th Open Anniversary - An Opportunity Missed? Thank you for this wonderful posting of what must have been an emotional day. 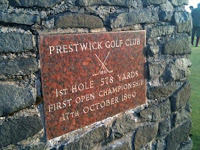 To tread the path of champions is what Scottish Golf Tourism is all about. It is also about the industry latching on to key events and dates and designing packages and press releases to compliment these historic passages of time. You pose the question about what the R&A would do if it had been St Andrews. Well the answer may soon become clear with the possibility of the normal five year cycle of Old Course Opens changing to suit St Andrews' own historic Open Championship anniversary timescale. 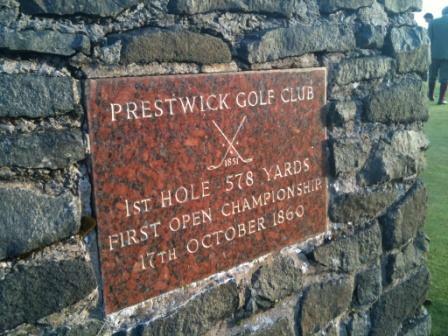 Pathetic that the industry, including the public bodies, failed to make the most of the Prestwick October 17th date. We cry out for shoulder season business and lack genuine reasons to get golfers to visit at this time of year and this was surely an opportunity lost. They don’t come around to often. Bottom line however is that this really did show an industry in its true light. And that light illuminated our biggest problem - one of laziness. How much better would it have been to have an event diarized a year ago for everyone to buy into – hotels, tour ops, golf clubs, VS etc. How much better it would have been to have arranged press releases highlighting this date; how much better it would have been if none of this had worked that an industry event at least took place to celebrate the date over this last weekend. How much better it would have been …..yes how much better it would have been if people did rather than just talked …and I count myself amongst this anonymous lazy group.